If a new president-elect gets you to do something different, more than an emotional reaction—wonderful! Now you need to figure out what, why, when and how will it make a difference. ‘Tis the season to re-evaluate our giving of time and money. Resolve to ask yourself if your current philanthropic strategy is fully aligned with you. Does it reflect your core values? Is it heart-full, soul-full work that energizes you and gives you joy? Yes, foundations’ strategic plans are pretty much dinosaurs once the ink is dry. Yes, the world is changing and the challenges are daunting (by the way, that’s the way the world has been for a very long time). One thing is certain, the needs of the most vulnerable grow; suffering is a growth industry. Why does our philanthropy tend to be about issues we don’t really care about, to help people we do not know and to impress others who don’t matter? Ah, the tyranny of the expectations of others. But what do YOU expect? I have taken about 1,000 foundations through what I call a “philanthropic wish obstacle” exercise. I ask foundation executives and board members what prevents them from pursuing the philanthropy they want and wish for. Every foundation, without exception, wishes their foundation was “more focused,” “more aligned with their passions,” “more effective/impactful” and/or “more meaningful and fulfilling.” They want their work to be as good as their lofty and inspiring mission statements. Every foundation has an unmet wish. Every foundation and donor has thought about something they want to be doing. And the reasons they are not doing it are not because they don’t have enough money or because they don’t have the right staff. It’s because their work is disconnected from their hearts and souls. They have drifted off to respond to many things. To be many things. To be safe. To make their philanthropy “easy and not stressful.” I have heard it all. I’ve encountered a lot of donors and foundations that are confounded by the choices. As one political leader has said, “choice is the enemy of commitment,” and there is a great lack of commitment out there. For a wide variety of reasons, we get disconnected from what is important to us. We live in such a clickable world that we mistakenly think we can change anything anytime and we will find something better. We have watched it with the perennial bachelor, the graduate student who starts her 4th masters or the nonprofit board member who loses courage when he enters the board room. And we have studied those at the end of their lives who regret not having the courage to live a life true to themselves and not what others expected. Commitment comes from deep inside when individuals care about something. When we align what we care about with the true needs in the community, it’s a powerful, unstoppable combination. So, re-evaluate your allocation of time and resources. Your board seats, your volunteerism, your financial giving. Why are these priorities to you? Because you have always done it? Because it fits into your life? Yikes. This is the perfect time to step back and think about what your purpose is, and what the purpose of your philanthropy is. “Where can I have the greatest impact and where is my heart?” Not the landscape of challenges, but the geography of your heart. Without our hearts, we cannot be as effective as we want to be. Without our hearts, we will not sustain our interest and impact will elude us. Aligning our work and volunteerism with what we care about is the most important thing we can do. Those who half-heartedly go through the motions of giving and avoid the gratifying hard work of whole-hearted philanthropy need to pivot. Indecisive, half-hearted, lack-of-commitment philanthropy can be exasperating for the donor and foundation, but it is harmful to the community. Jerking nonprofits around because someone is dabbling in a hobby is a waste of time and wrong. If we are honest, we know that we can and want to do so much more. 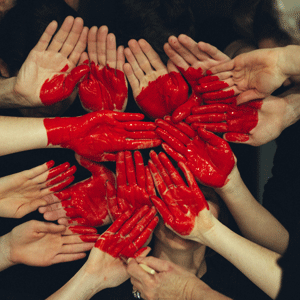 The major obstacle to our philanthropic wish is a disconnected heart–not the lack of time or resources. So, let’s make 2017 the year we get more serious about our giving and move toward wholehearted philanthropy. John E. Kobara is the executive vice president and COO of the California Community Foundation.